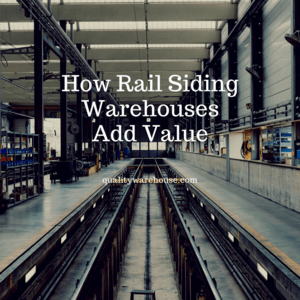 If you’re looking for the right warehouse for your business, one that has rail siding might be your best bet. Rail siding refers to a distribution center’s ability to collect freight from dropped-off rail cars. It’s basically a section of track nearby where workers can easily load and unload goods right by the warehouse without needing a middle man. There are two types of rail siding: outdoor and indoor. Outdoor rail siding is when a train drops off freight right outside the warehouse. Workers come out, remove the pallets, and move them into the building to be inventoried. 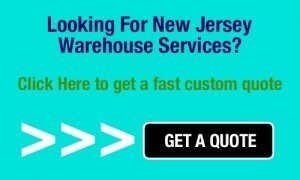 This can be a cost-effective way to move large volumes of product directly to the distribution center. Otherwise, a truck would have to go out to the track site, unload and load the freight, and then bring it back. Indoor rail siding means that a train could drop freight off right inside the warehouse, which is easier for personnel to transfer the product onto shelves. This is not only convenient but also a great option especially for paper and metal-based companies because goods are protected from the elements. Whatever option suits your unique business’ needs, a distribution center with rail siding will prove to be invaluable for your supply chain. Reduces costs. One railcar can carry as much volume as four over-the-road trucks. This means lower fuel consumption, which means more money in your pocket. More efficient. The closer your goods can be dropped off to your warehouse, the more accessible it is to workers. Short-haul trucks wouldn’t be relied on to go grab the product and bring it back, wasting valuable time. Instead, personnel can quickly and easily unload freight and add it to the inventory without needing to wait. Safer freight. Though it’s inevitable for at least some goods to be damaged during shipment, using rail lines greatly lowers this risk. Trucks could get stuck in stop-and-go traffic, be in accidents, and have smaller storage spaces for goods, any of which could harm products. Rail siding can also take care of special storage requirements easier than trucks. For example, if your product needs to be kept at a certain temperature, railcars have the capacity. If you’re more concerned with getting your pieces in tip-top shape, then rail siding would be the better choice. Eco-friendly. Did you know that rail lines are four times more fuel efficient than trucks? You can limit your carbon emissions and fuel use just by switching to rail lines. So you can cut down on fuel costs while also saving the environment. Keeps moving in bad weather. It shouldn’t be a surprise that railroads aren’t as impacted by the environment as trucks. Rail lines can continue to operate during most adverse weather conditions. They also don’t experience typical delays like traffic jams and accidents. You can always be confident that the upcoming rainstorm won’t impact your supply chain too much. Delighting customers. Since rail lines will deliver product right to the warehouse door, workers can quickly get it on the shelves. This means that the distribution center will always be well-stocked and ready to meet the demands of your customers. When customers can get their orders in a timely fashion, they tend to stick around. When choosing a distribution center, think about the quantity and type of products you sell. How important is it to move them efficiently and securely while cutting costs? Rail-siding warehouses can be the best option for your business while adding value to your overall supply chain.